You can run Reports to track, for instance, how many times a Helper was late, tardy, called out, etc. for any date range. To designate shifts for one of these types of situations, you can create a new category (Ex. Late, Called Out. etc. 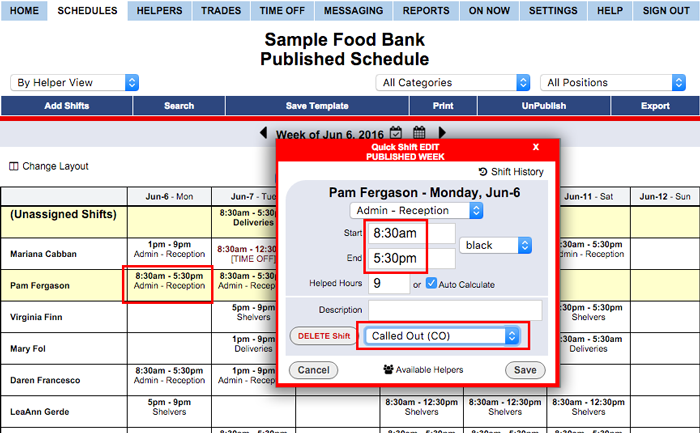 ), then you can click on any shift in the schedule, change the actual times helped, then choose the category. 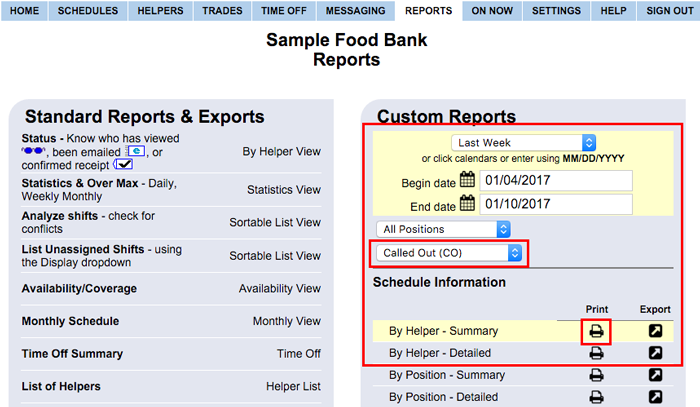 Then you can use the Reports section to choose that category and run a report showing how many of those types of shifts each helper had for any date range.